Just before Rhea slipped behind Saturn, the Cassini spacecraft captured the moon in its disappearing act. 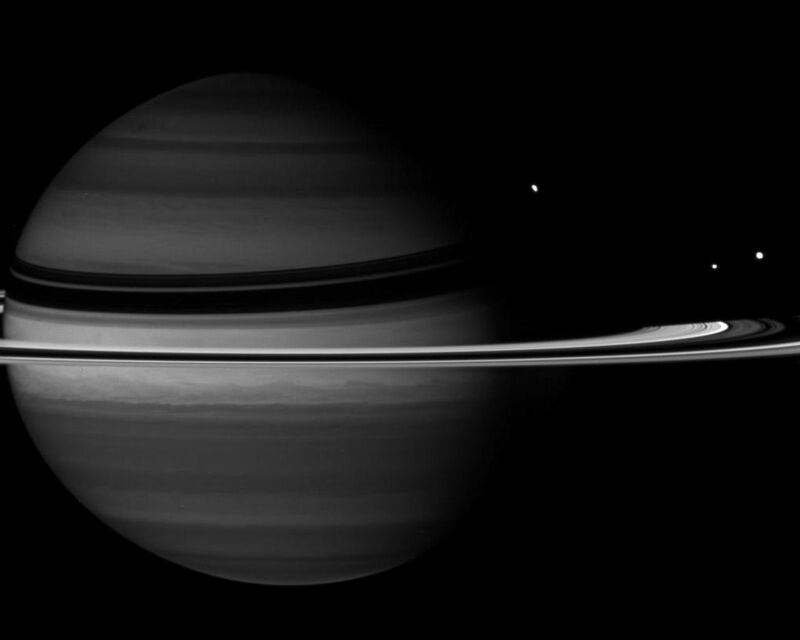 Along with the partly obscured Rhea (1,528 kilometers, or 949 miles across) are Tethys (1,071 kilometers, or 665 miles across), at right, and Enceladus (505 kilometers, or 314 miles across), left of Tethys. 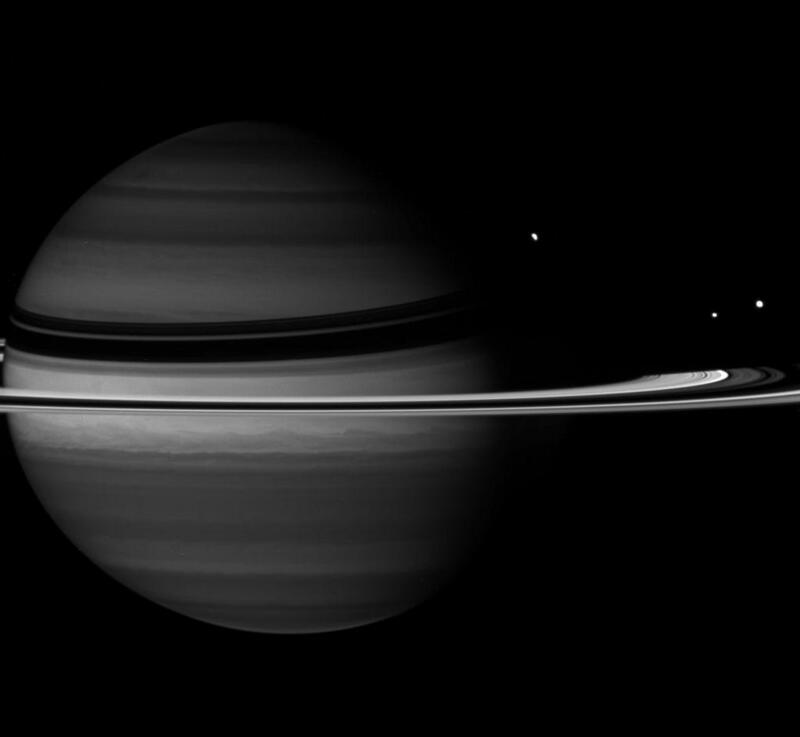 At the wavelength in which this image was taken, absorption of sunlight by methane gas in Saturn's atmosphere is strong, causing the planet to appear darker than at other wavelengths. 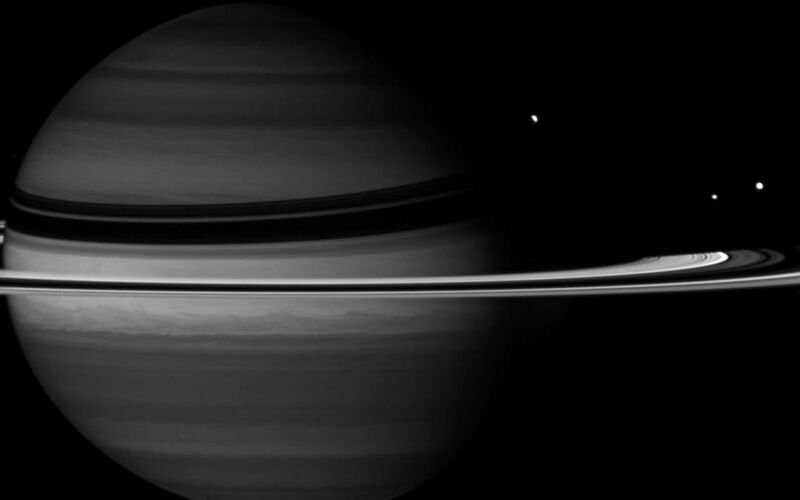 This view looks toward the unilluminated side of the rings from about 4 degrees above the ringplane. The image was taken with the Cassini spacecraft wide-angle camera on Nov. 9, 2007 using a spectral filter sensitive to wavelengths of infrared light centered at 890 nanometers. 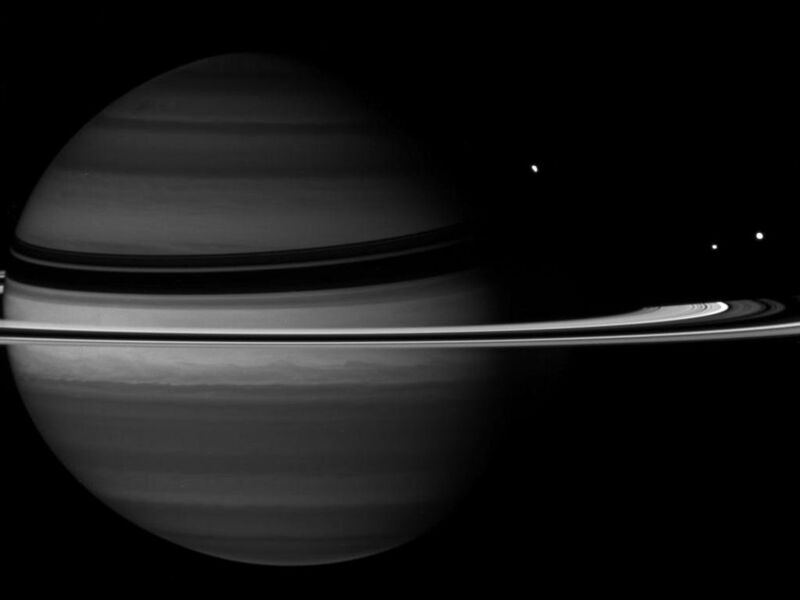 The view was acquired at a distance of approximately 2.8 million kilometers (1.7 million miles) from Saturn and at a Sun-Saturn-spacecraft, or phase, angle of 44 degrees. Image scale is 162 kilometers (101 miles) per pixel.